Today, Epicurator launched to the public and released an iOS app that it hopes will encourage people to step outside of their homes and each out at new and unique dining establishments. Almost the complete opposite of recipe app Epicurious which instructs users on how to cook dishes at home, Epicurator offers up a discovery and recommendation tool specifically for restaurants. Users can upload pictures of food and drinks right to their Epicurator profiles and each one can be rated from “Blech” to “Foodgasm” — yes, those are the ratings. Another way to think about Epicurator is like this: take Yelp’s reviews, add in Foodspotting’s photo sharing feature, sprinkle in Foursquare’s geo-location services, and voila! You have yourself a dining out app. Epicurator says that it has more than 400,000 restaurant menus in its library so users can easily scroll through to figure out where they would like to eat. As with most social media applications, it also has geolocation and gamification features to encourage you to use it more. As a self-described foodie, I am always looking for new dining experiences and knowing this, my friends always ask for recommendations of a great new restaurant or the best dishes to order. We created Epicurator to allow anyone to become a food critic because food suggestions from a friend are more reliable. 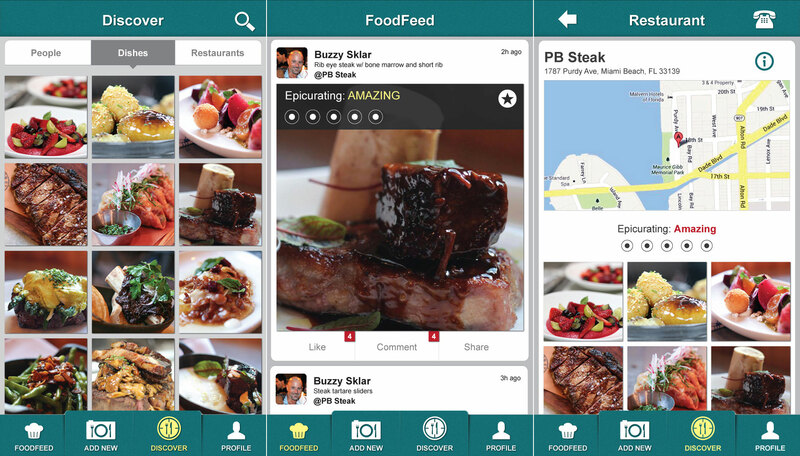 Epicurator allows you to see where your friends are dining, what they are eating and if they enjoyed the food. So how will Epicurator make money? According to Sklar, it will be through the tried and true method of advertising, but the service will initially be ad-free. He says the ad module will be in place 60 to 90 days after today. He says that for all of his food establishment experience, there has not been any great targeted advertising programs that a restaurant could do and set their own budgets. Specifically, the plan is to allow restaurants to target those patrons who have “liked” the establishment, posted a photo, or who wrote a review through a cost per click ad campaign. 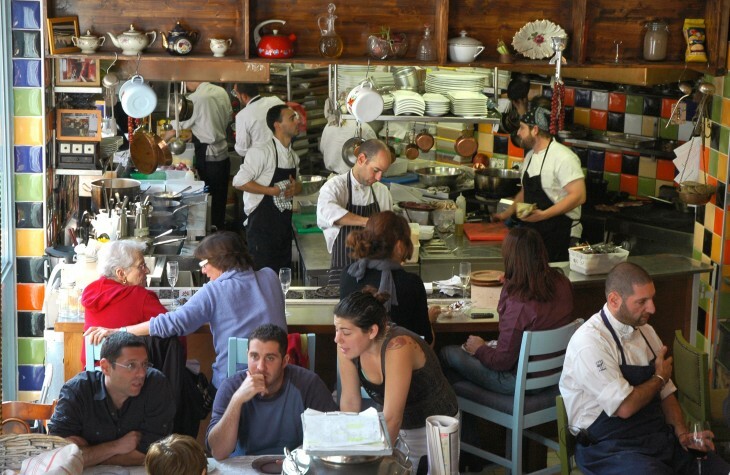 Sklar thinks that Epicurator’s monetization plan will be good for restaurant owners because they’ll be able to target those who have some affinity to their business. Epicurator is currently only available on iOS and an Android version is planned for release in the next 4 to 6 weeks. It has received funding from incubator Bright Ahead Ventures, a firm started by Sklar, Smyth, and their third founder Burton Katz.